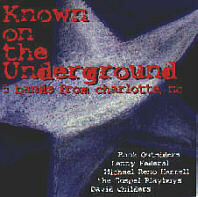 Single CD's are $15.00 - 2-CD sets, DVD's and books are a little more. 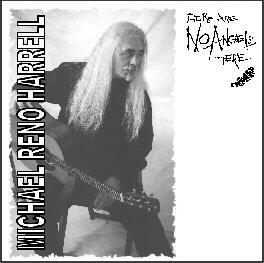 Contact joan@michaelreno.com if you have any questions. 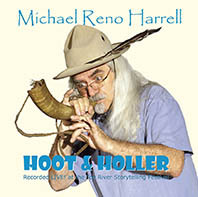 Michael's new 2-CD set of stories and songs recorded live at the International Storytelling Center, Jonesborough, Tennessee. 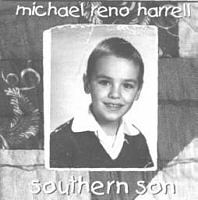 68 musings about life in the shadow of the Blue Ridge, tales from the extended family of Michael Reno Harrell. Fathers at sea, brothers in the air, dogs in the woods, afternoons on a lazy river, and some stranger doings. 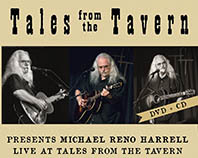 Michael is proud to be included among such artists as Joan Baez, John Gorka, Dave Alvin, David Crosby, Chris Hillman & Herb Pedersen, Tom Russell, Ramblin� Jack Elliott, Slaid Cleaves and many others as a featured artist at the Santa Ynez, California music series, �Tales from the Tavern.� These folks, along with Hey Y�all Music produced this combination CD/DVD recording of Michael�s 2014 concert there. You will find such favorites as, �Me and You�, �Tommy Stops By� and �The Too Late Lounge� along with new material like, �Granddaddy�s Pocketknife� and �Here�s To The Ones�. Included are the stories that go along with the songs as well as after show interview clips. 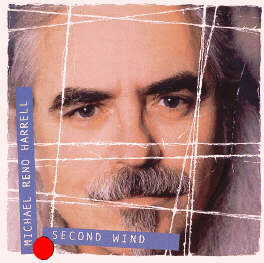 Don�t miss this CD/DVD set to experience the humor and heart of Michael Reno Harrell in concert. My old pal, Dale Meyer and I have been playing music together for well over fifteen years. He’s just about as good as it gets for a picking buddy in that he is a very good driver, an excellent musician, is not at all a whiner, knows where the good places to eat are and is a great recording engineer who just happens to own and operate a fine studio about seven miles from our house. 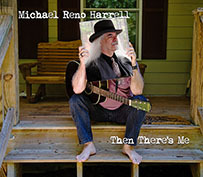 I have been lucky enough to have recorded with some of the giants in the acoustic music world and enjoyed every minute of those experiences, but when Dale suggested that we call in our friend, Steve Bradshaw on bass and make a trio album, I was in from the get go. Finally, in the spring of this year, 2012, we all found the time to get back together. I think it worked out for the better, in that I had written several more songs which appear here. I hope you enjoy the result. 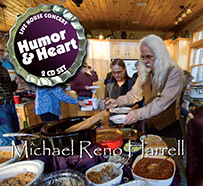 Recorded live at a house concert on a blustery Sunday afternoon in Caldwell County, North Carolina, "Humor & Heart" is a 2-disc set featuring seven tales and plenty of music. 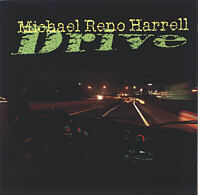 This is Michael Reno at his best. 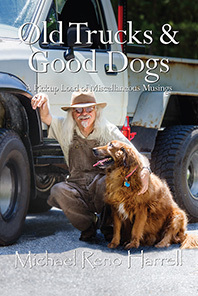 There are laughs a’plenty and a good dose of that southern warmth that Michael is so well known for. The only thing missing here is the wonderful pot luck dinner that followed the concert. So, put on a pot of pintos and a skillet of cornbread and join in the fun. 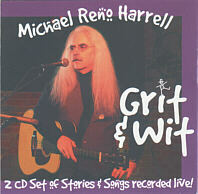 You get two CD’s worth of grins, foot patting and head nodding with Humor & Heart! 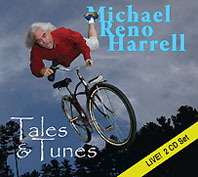 Tales & tunes is what you get with this CD. 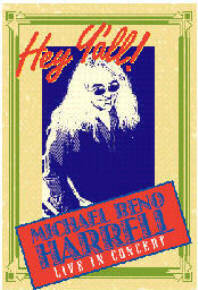 It’s a live concert recording of some of Michael’s most humorous and delightful stories and songs. You’ll hear outlandish tales of youthful adventure and senior reflection as well as original tunes to expand the narrative. 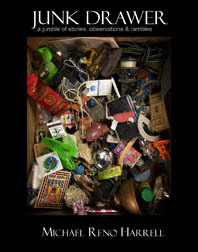 Relive your own memories of first bicycles, piano lessons, practical jokes, and family reunions featuring aunts, uncles and cousins by the pickup load. 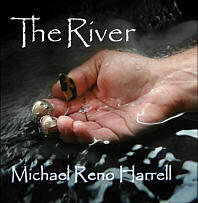 In true Michael Reno fashion, you’ll meet some of the most interesting characters and visit places that are likely to bring on a sudden bout of déjà vu. It’s just under two hours of about the most fun you can have… well, listening to a CD anyway! harmonica,banjo, cello, viola and violin. NEW DVD! Finally as promised a live video concert including some of Michael's most requested stories and songs professionally recorded at Cleveland Community College. 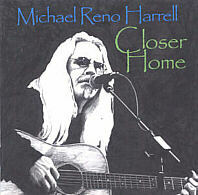 Now you can enjoy an entire Michael Reno concert in your home anytime you want. Running time is approximately an hour and forty minutes. 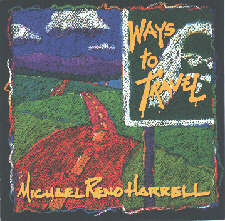 "Michael Reno Harrell is one of those natural born Southern storytellers filled with wit, charm and surprises. 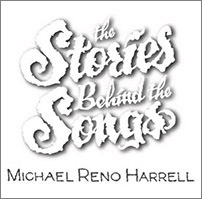 Whether the story is in song or narrative, Michael will draw you in and entertain you, all the while making you feel right at home."